While this is a bit off-topic, it is an interesting side item. While seeking the possible location of Francis Quirk's portrait of Carl Sandburg, we conducted a search on information related to Abby Sutherland Brown. 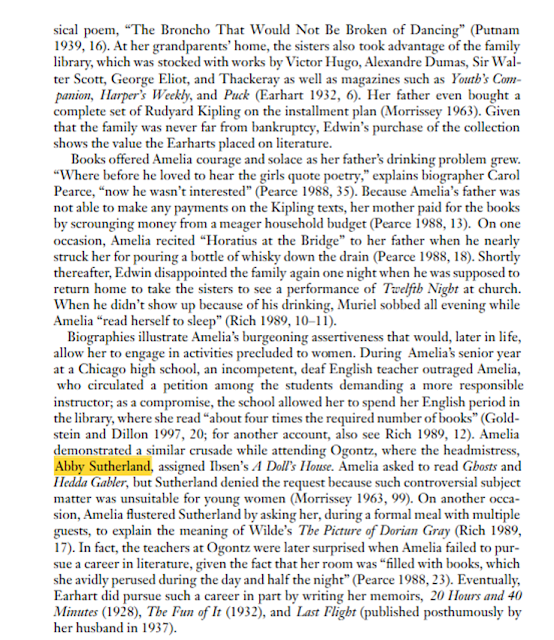 She was the primary force driving Ogontz College and commissioned the portrait of her friend, Sandburg. Carl Sandburg (January 6, 1878 – July 22, 1967) was an American poet, writer, and editor who won three Pulitzer Prizes: two for his poetry and one for his biography of Abraham Lincoln. During his lifetime, Sandburg was widely regarded as "a major figure in contemporary literature", especially for volumes of his collected verse, including Chicago Poems (1916), Cornhuskers (1918), and Smoke and Steel (1920). 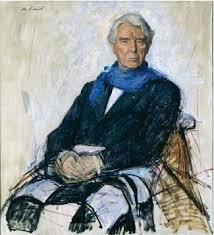 The main Sandburg portrait we found is the work of William Smith from 1961. It is not the work of Francis J. Quirk. 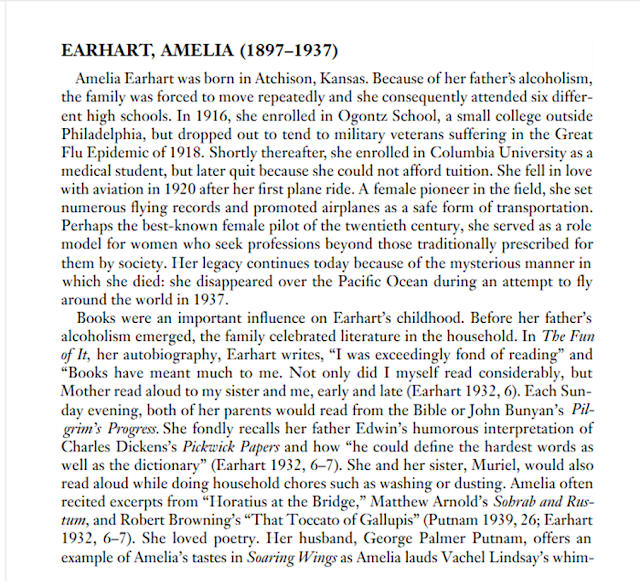 In a Dictionary of Literary Influences we came across this write up of Ogontz College student Amelia Earhart and her relationship with Abby. 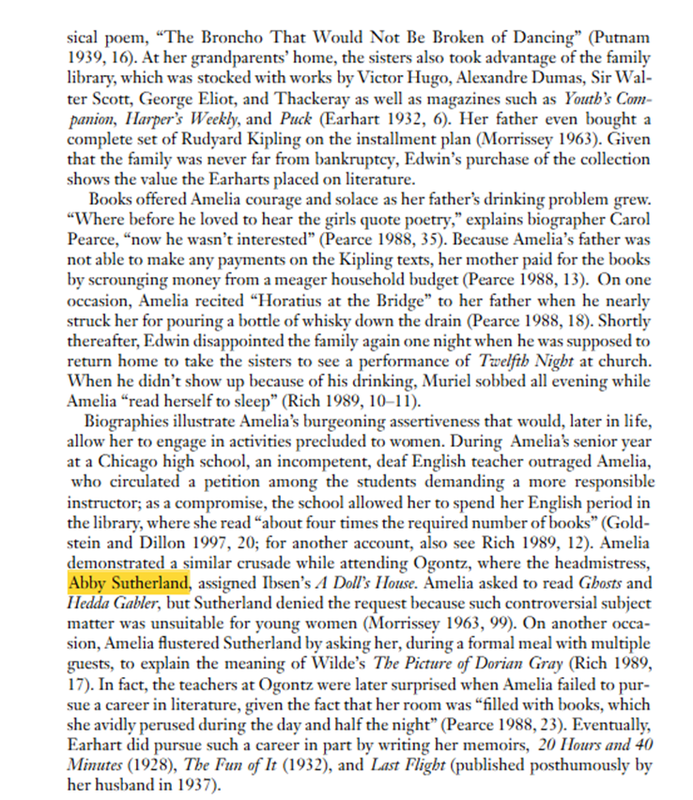 You can find the original text of the book here.